A Winnipeg man says a weekend flight to the Arctic ended up being the longest flight of his life after a mix-up on the tarmac sent him nearly 2,300 kilometres in the wrong direction. Christopher Paetkau, an adventure and wildlife photographer and filmmaker, was heading from Yellowknife to Inuvik on Sunday when he accidentally boarded a flight to Iqaluit, 2,260 kilometres in the other direction. "Somehow I managed to go on the exact wrong airplane going in the wrong direction," said Paetkau. "I actually ended up [thousands of] kilometres east of Inuvik. That's pretty far in the wrong direction," he said. The filmmaker left Winnipeg on Saturday around 6 a.m. CT and stopped in Calgary before heading to Yellowknife. He stayed the night there and was set to board a First Air flight Sunday morning that would take him 1,100 kilometres northwest to Inuvik. Instead, he flew east to Iqaluit. Paetkau says when he arrived at the airport in Yellowknife the computers at the airline kiosk were down and staff were entering ticket information manually. "I'm standing at Gate 4 and I see there was three airplanes that are sitting out there on the tarmac, and also three boarding calls happening simultaneously pretty much at Gate 4, and they're all final calls," he said. After being told to wait about 15 minutes while staff sorted things out, Paetkau said he made his way back to the ticket booth where they checked his ID and the flight manifest and sent him out onto the tarmac. "After the 15 minutes people start moving out, and I'm thinking, is this my flight? People are leaving. I need to get on this flight," said Paetkau. "So now I'm following like a lemming, I'm following the rest of the people who are going on this flight." Paetkau says he asked a flight attendant as he boarded the plane if he was on the correct plane. "I have a funny feeling, I'm like, 'Am I on the right flight?' I'm not totally sure; there was a bit of chaos happening," he said. "Is this flight going to Inuvik? [he asked]. And she says 'yeah eventually,'" said Paetkau. Paetkau took his seat and says he was on his phone sending last-minute texts before the plane took off. "You know, just trying to get that last bit of cell service in, so I'm not fully paying attention to what the pilot is saying about our flight, like where we're going," said Paetkau. After several hours the plane landed in Rankin Inlet, Nunavut, and Paetkau assumed it was just a stop along the way. "I've been flying around the Arctic often and many times these planes do a milk run, and I wasn't totally aware of my itinerary, like I knew that maybe we were stopping, maybe we weren't?" he said. 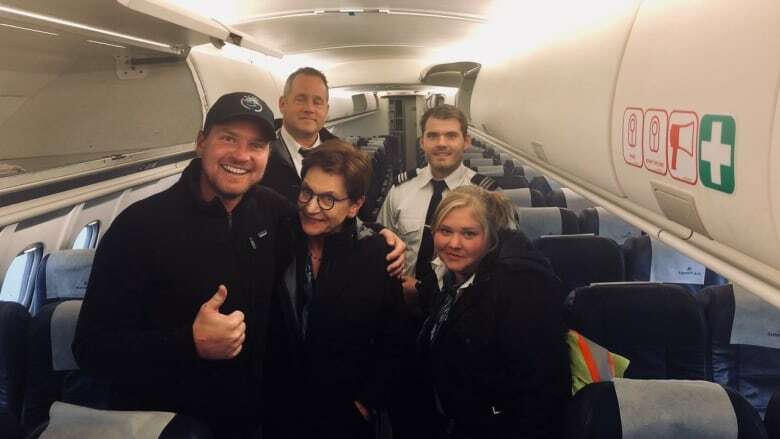 It wasn't until Paetkau asked another flight attendant how long it would be before they arrived in Inuvik that he realized there was a mistake. "Her face just dropped, like completely dropped, she's like, 'What are you talking about? We're not going to Inuvik, we're going to Iqaluit'." Paetkau said he had to travel the second leg from Rankin Inlet to Iqaluit because the crew didn't know if they'd be able to return for him because of high winds. "The woman who told me that we'd be arriving in Inuvik eventually, she felt horrible. She was like, 'Oh my God I didn't take you seriously, like, I thought you were joking," he said. "In fact the person who had boarded previously, I later learned … had got on the plane and said, 'When do we arrive in Hawaii?'" said Paetkau. "So she thought I was joking, so she responded back with a joke." Paetkau said despite the mix-up, the flight crew were amazing and the airline staff did everything they could to help him. "If I wanted to be angry at them I could be, but they did everything that they could," he said. "[The flight attendant] and I became basically buds. We were in the air for like 14 hours, longest flight of my life, longer than any international flight I've ever done," he said. In a stroke of serendipity, Paetkau said he ended up running into a friend on the flight back to Yellowknife whom he hadn't seen in about a year. "Well, I had two choices: am I going to be upset about this or should I just roll with it and have fun? So I ended up having a ton of fun," he said. Paetkau eventually made it back to Yellowknife where he was put up in a hotel before flying to Inuvik on Monday afternoon. "I am not upset. I guess you could say [I'm] grateful, because they handled it perfectly. A different airline might not have," he said. 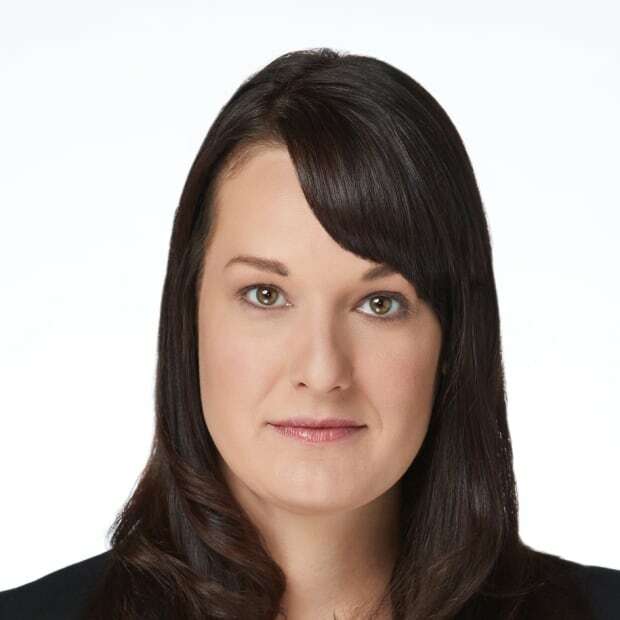 The airline responded to Paetkau's post about the ordeal on Twitter. "We aim to please! Since you're buds with our crew and captain, you're friends with the entire First Air family too! We expect a holiday party invite of course!" the airline said in a tweet. In a statement sent Tuesday morning Dan Valin, a spokesperson for First Air, said "although we are happy that Mr. Paetkau was able to 'make the most of the situation' in his words and that we were able to make his unexpected journey as pleasant as could be with our staff, we take this matter very seriously." Valin went on to say the incident will be investigated. Paetkau plans to return to Winnipeg later this month and hopes his flight plans go a little smoother. An earlier version of this story said Christopher Paetkau flew nearly 3,000 kilometres in the wrong direction. 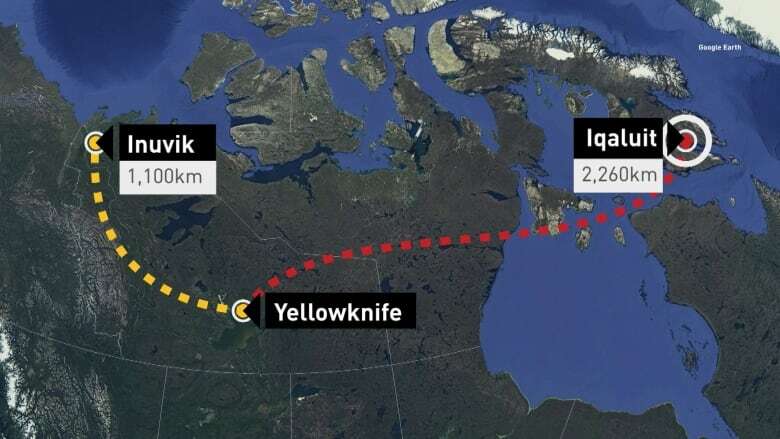 In fact, while Iqaluit and Inuvik, N.W.T., are 2,840 km apart, he flew 2,260 km in the wrong direction, the distance from Yellowknife to Iqaluit.